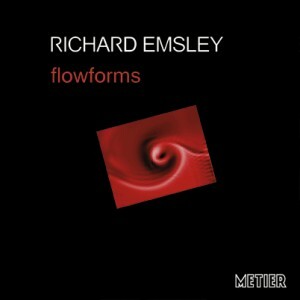 A Richard Emsley portrait CD was released by METIER Records in March 2002. Performed by the contemporary music ensemble TOPOLOGIES the programme includes early ensemble works such as the wild and virtuosic The Juniper Tree, as well as more recent compositions such as the contemplative and finely-textured music in the for piano series. 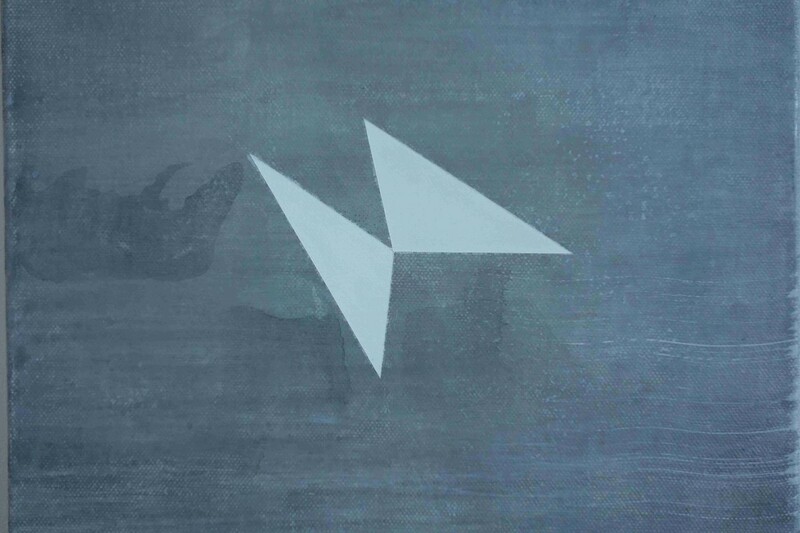 The CD can be purchased from Métier, Amazon.co.uk, Amazon.com, or at most good record shops. Clare Lesser (soprano), Nancy Ruffer (flute), Christopher Redgate (oboe), Guy Cowley (clarinet), Julian Warburton (perc), Alan Thomas (guitar), Ian Pace (piano), Bridget Carey (viola), Betsy Taylor (cello), Mikel Toms (conductor). “The earlier works in this selection were both written in 1981 but are very different in many respects. Helter-Skelter, for a Feldmanesque ensemble of flute, vibraphone and piano, moves fairly slowly throughout, the three instrumental lines following each its independent course with little if any synchronisation, hence the title. The piece however is fairly contemplative. In total contrast, The Juniper Tree for soprano and four players (flutes [1 player], oboes [1 player], percussion and piano) is based on one of Grimm’s “goriest” tales. The music here is relentlessly violent, almost frantically so, and terribly demanding. A quite impressive achievement in its own right, though it is a difficult piece to come to terms with. …from swerve of shore to bend of bay… (1985) for small mixed ensemble is yet another contemporary work of art inspired by Joyce’s ‘Finnegan’s Wake’. Again the music is very active and tests the performers to the extreme. (It was composed for the Fires of London.) The piece is overflowing with relentless activity suggesting furiously overlapping waves. All the other pieces are for a solo instrument, either piano or guitar. Flow Form (1987) for piano, which gives this release its collective title, is a beautiful study in fluid piano textures, whereas for piano 2 and for piano 3, both from 1997, are to a certain extent more experimental, i.e. from the formal point of view, and have much in common with for guitar 1 (1998). These pieces have much sparser textures with fairly long pauses between the various episodes, but are remarkably written for the instruments. Finnissys fifty (1996) is a short homage to Michael Finnissy on his fiftieth birthday, and is comparatively much simpler. “Richard Emsley’s world is one of textures, delicate like filigree, sharp edged, shimmering bright like the surface of slow moving water that keeps catching a radiant light, the sheen changing constantly and vanishing just as swiftly. He was the co-founder of the London new music ensemble Suoraan that was active and influential particularly in the early 80s, an ensemble that brought together the extraordinary exploratory technical brilliance of flautist Nancy Ruffer, oboist Christopher Redgate, Michael Finissy, piano, the soprano Josephone Nendick and John Harrod playing percussion. The earliest piece in this fascinating retrospective Emsley CD is the substantial (23 minute) puppet theatre piece The Juniper Tree which appeared in 1981, designed for that original group, and here performed by Topologies that includes Ruffer and Redgate, with Ian Pace, piano, Clare Lesser the wordless soprano and Julian Warburton, percussion. Though based on a singularly bloodthirsty Grimm fairy tale (how horror excites children! ), it can be heard, in this ‘concert’ version, like a sunrise glittering through broken glass moving gradually into a series of energetic cadenzas. The other two substantial pieces are from the same period, yet show a very different side of Emsley’s musical imagination, though it is clearly the same composer at work. Helter-Skelter is for flute, piano and vibraphone and is a quiet, highly elaborate texture, weaving together the three independent instrumental parts. This style of pianistic patterning is persued to contrasting ends in the shorter pieces Flow Form and for piano 3, two pieces separated by ten years and both included here. The other major piece is … from swerve of shore to bend of bay …, written in 1985 for flute, clarinets (Guy Cowley), percussion, piano, viola (Bridget Carey) and cello (Betsey Taylor) — another timeless though this time restful piece made up of gentle waves of sound. There are three other equally fascinating shorter pieces: for piano 2 and finissys fifty both played affectionately by Ian Pace, and for guitar 1 played by Alan Thomas. In 2011 the German pianist Steffen Schleiermacher released a CD entitled British! on the MDG (Musikproduktion Dabringhaus & Grimm) label, with a programme including Emsley’s for piano 1, for piano 12 and finnissys fifty alongside works by Laurence Crane, Michael Finnissy and Howard Skempton . The CD can be purchased from mdt or Amazon.co.uk. [This disc] opens and concludes with two cycles by Richard Emsley, entitled “for piano 1” and “for piano 12”, respectively split into 8 and 7 very short pieces. Most of the time the music is pared down to a single voice, of a capricious, enigmatic character. A series of bursts unfolding at a varying rhythm, like so many aphorisms about silence. You don’t know where it is taking you, you enter a rarefied atmosphere upholstered by the pedal action, hanging on these little runs of climbing sound, these successive flights towards the light. Each piece is a meditation, a pure moment, spare, an invitation to be part of the mystery of sound spreading through the auditorium (courtesy of the natural acoustic favoured by the MDG label). Among the expression markings to “for piano 1”, are dolcissimo motto espressivo, un poco nobilmente, misty and dreamy, like a nursery rhyme, but also senza expressione sempre. Seven numbers only for “for piano 12”, perhaps even closer to the aesthetic of a Morton Feldman. A major discovery, that I owe to a “friend” on a social network, who had posted a video featuring an excerpt from this composer, born in 1951 and still woefully under-represented on disc. I haven’t found a complete set of these “for piano…” But it is with great pleasure that I have found Steffen again… always at the cutting edge! Steffen Schleiermacher tells us that his knowledge of British culture derives in its entirety from TV crime dramas of the Midsomer Murders/Inspector Lynley variety, which presumably explains why these are the stupidest booklet-notes I’ve ever read. ‘The British?’ he asks. ‘Are they the people who after a day at the bookmakers, do not retire to their homes but to the nearest pub? Once there, they gorge on salt and vinegar crisps and during a game of darts, get drunk on many a pint?’ Cricket, village greens, tea, weather, gardening – Schleiermacher’s insights into our 21st-century national psyche, each badly translated, continues apace. Now call me John Bull, but when it comes to dredging up such stereotypes, Germans are on uniquely shaky ground, unless there’s something about their famous sense of humour I’ve missed. When he asserts, though, that British music remains aloof from developments in central European composition, Schleiermacher is on sturdier terrain, and only an outsider could – rubbish booklet-notes forgiven and brilliant playing to the fore – tell us so much about our musical DNA. Let’s further that ‘crisp’ analogy. Schleiermacher focuses on four composers who have stood determinedly outside the ready-salted mainstream. They’re all pals: Finnissy’s Tango is dedicated to Skempton, who dedicates four miniatures to Finnissy; Laurence Crane’s Chorale is for Howard Skempton; a second Finnissy Tango is dedicated to Crane, who writes a Birthday Piece for Michael Finnissy. Only Richard Emsley has nothing dedicated to him. So, poetic justice aplenty as it emerges that Emsley is the aesthetic pivot around which ‘British!’ swings. Because the real monkey-puzzle here has nothing to do with potato snacks, or Midsomer Murders in a post-John Nettles era, but why non-mainstream British music deals up zillions of notes or hardly any at all; how come Finnissy’s ‘complexity’ and Skempton’s ‘simplicity’ have more in common than either man has with, say, Oliver Knussen. Emsley jolts form out of alignment with content. Surface busy-ness is placed in tension with forms that evolve only gradually. That’s scale not form, to quote Morton Feldman, whose Triadic Memories Skempton mined for the tightly meandering structure of Notti stellate a vagli, with its recurring, crinkle-cut melodic fragments.